Getting in a healthy breakfast is such an important way to start mornings. This healthy breakfast bowl is designed to power you through the morning. 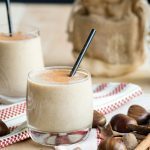 It’s packed with all sorts of goodness – protein, fibre, nutrients and anti-oxidants. 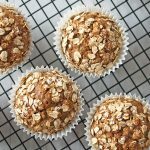 I think you’ll also love this healthy quick breakfast idea because it’s so simple to make. And you can get ahead by prepping the protein-filled breakfast bowl base in advance. This savory breakfast bowl makes a great weekend brunch if you are feeding a crowd or a big family. 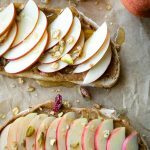 But it works equally as well as a healthy quick breakfast idea for weekday mornings. 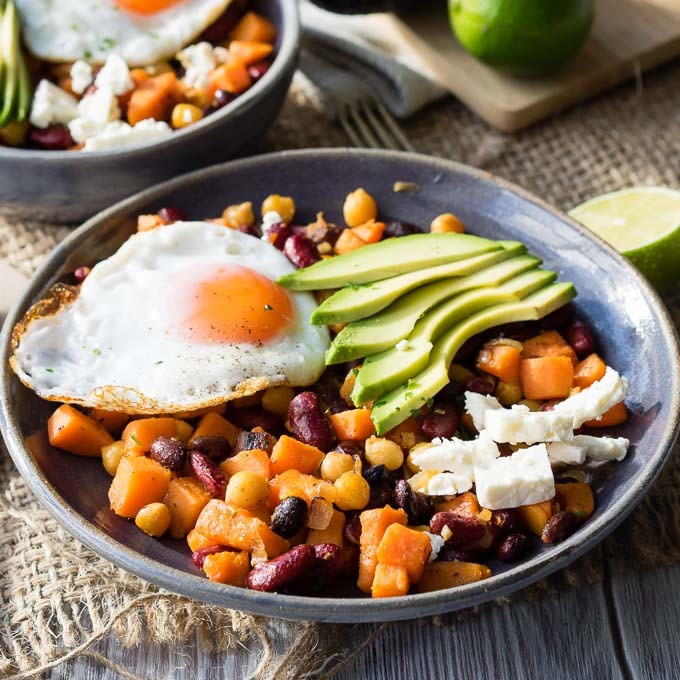 To save time on weekday mornings, you can cook the sweet potatoes and beans ahead of time and dress it with the honey-lime dressing. We do this, and just keep a large batch of it in a tupperware pot in the refrigerator. In the mornings, we portion out what we want into a bowl, and zap it in a microwave. While the healthy breakfast bowl is heating up, I slice the avocado and fry the egg. Then to finish off this healthy quick breakfast, I add a crumble of cheese. You might have noticed, but I love starting the day with veggies. One of my favorite vegetables to have in the mornings is sweet potato. Sweet Potatoes are good for breakfast because they are packed with fibre and nutrients including iron and calcium. Having sweet potatoes for breakfast also gives you a dose of antioxidants, namely beta-carotene. 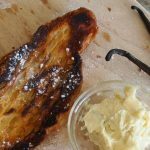 So, join me and take advantage of having this versatile root vegetable for breakfast. Another plus? 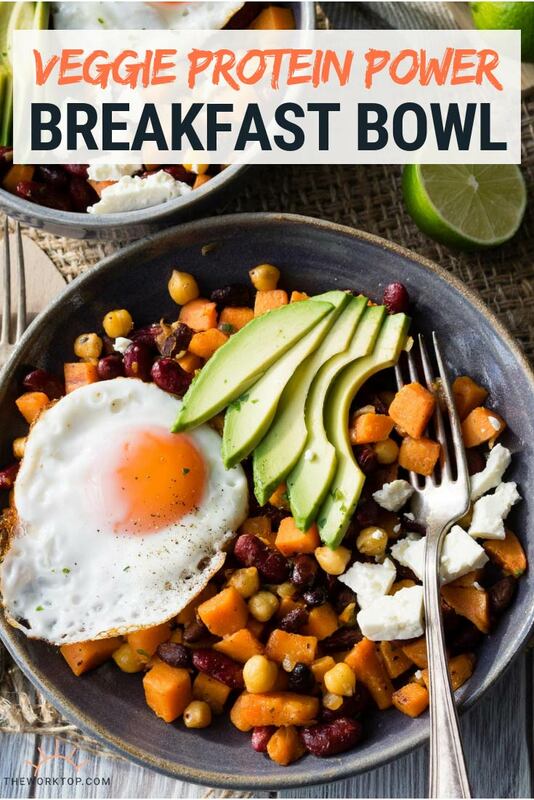 This sweet potato breakfast bowl will also fill you up until lunch. To quickly make a sweet potato bowl for breakfast, I like to cut them into small cubes so they cook in a pan quickly and easily. I peel and cube my sweet potatoes so they are about 1-cm pieces. Some sweet potato breakfast recipes will require you to roast them separately. Not this recipe. 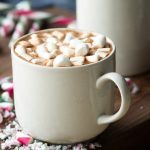 I created this recipe to be very easy and quick to make. You can cook the sweet potatoes in a frying pan. The other healthy bit of this recipe is the beans! Beans are good for breakfast because they are full of protein and fibre, both of which will fuel you well into lunch. Beans for breakfast can be super simple too. I use the range of frozen pulses from Birds Eye which are the perfect hassle-free healthy ingredient to add into a quick breakfast. Using frozen beans was new to me before I started experimenting with Birds Eye Pulses. 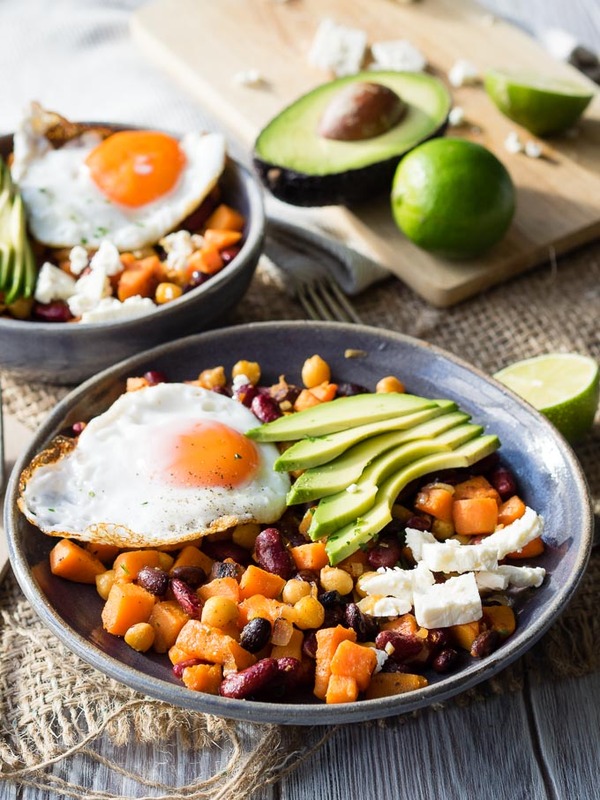 But I don’t think I will go back to using tinned beans, especially for healthy quick breakfast ideas, such as this high protein breakfast bowl. When you use these frozen bean packs, there’s no need to find the can opener or take the time to drain a tin of beans. You can pour the beans into this breakfast recipe straight from the bag. That means less time on food preparation, which is always a plus with a toddler running around. Freezing beans also locks in the goodness, and they cook very well. 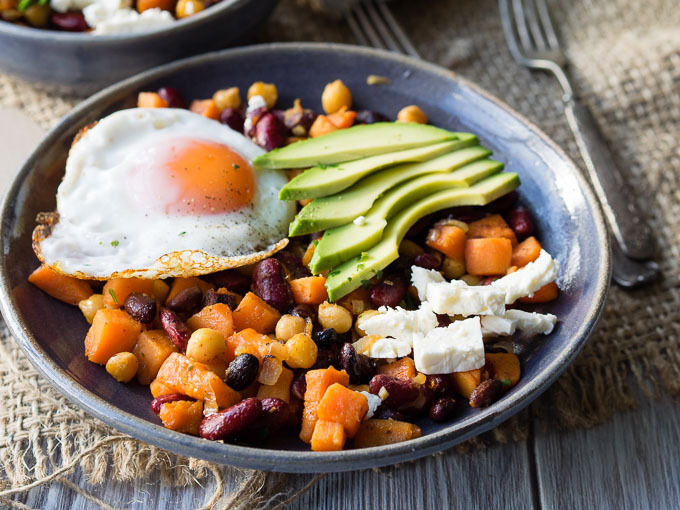 The beans are firm so they make a great base for this healthy breakfast bowl. 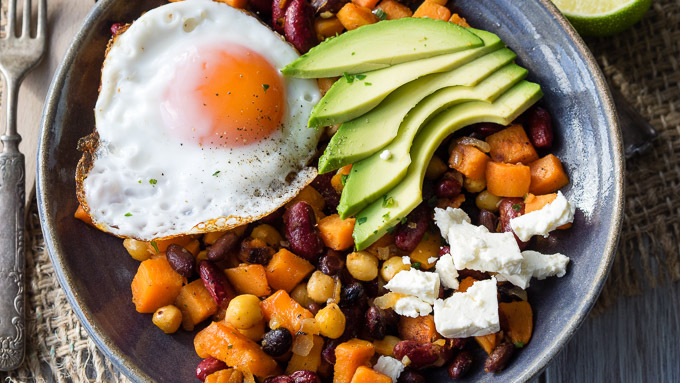 They also coat well in the honey-lime dressing, so each bite of this savory breakfast bowl is packed with flavor. 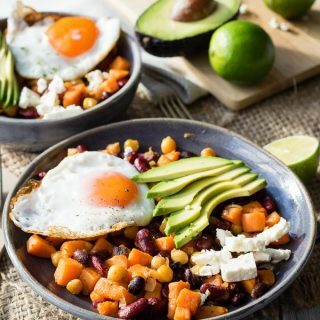 I use the entire bag of Birds Eye Mexican Bean Mix in this healthy breakfast bowl recipe because I like to meal prep this vegetarian breakfast ahead of time. If you aren’t keen on making a large batch, the good thing about frozen beans is that you can use as much as you want from the pack, and put the rest back in the freezer. 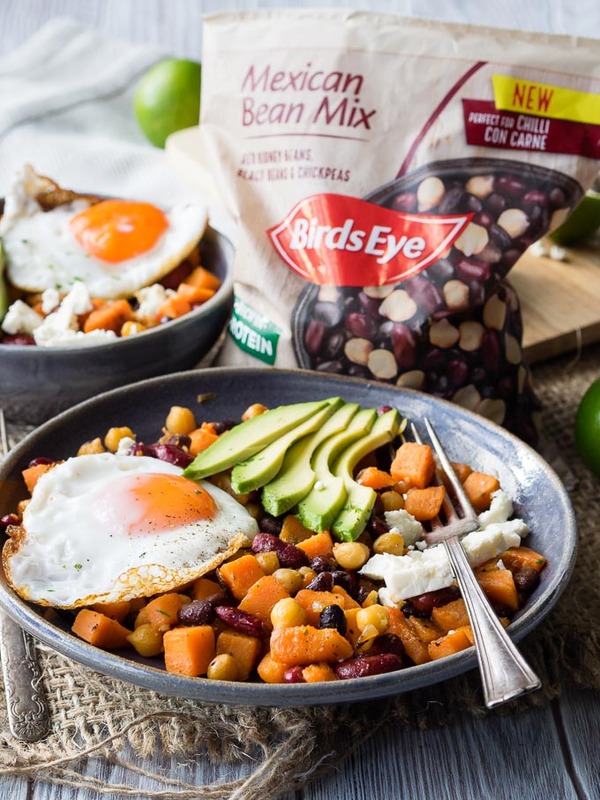 I’m very excited to have worked with Birds Eye to bring you this recipe, and I hope this inspires you to try their range of Birds Eye Pulses. They are such a kitchen time saver. In the range, there are three different types of Birds Eye Pulses. I use the Mexican Bean Mix because I love the red kidney beans, black beans and chickpeas. You can also use the Chickpea and Spinach Mix or the Italian 3 Bean Mix for this recipe though. Look on Ocado or the larger Tesco & Asda stores to buy the Birds Eye Pulses for £2. In a small bowl, whisk all the dressing ingredients, except the oil. Slowly add in the oil, whisking everything together until emulsified and smooth. Set aside. TIP: I always use my milk frother wand to quickly make the dressing. Heat the oil in a large skillet (30-cm) on medium-high heat. Add in the onions and sweet potatoes and stir for 2 minutes, until they are coated in the olive oil and the onions are just starting to soften. Add in the Birds Eye Mexican Bean Mix directly from frozen and stir until everything is mixed. Add in about 2-3 tablespoons of water and cover the pan with a lid. Cook for about 10 minutes, stirring occasionally, until the sweet potatoes are cooked, and the water has cooked away. - If you find that the sweet potatoes are browning before they are softened, add in more water as needed. - If you find that the sweet potatoes are softened but there's too much water in the pan still, then remove the lid and allow the water to cook away. - Your pan's lid may lose more or less steam than mine, so adjust accordingly. If you multi-task in the kitchen, in the meantime, prepare the fried eggs to top. Otherwise, wait until the bean mixture is done before preparing the fried eggs. Once the sweet potatoes and beans are cooked, pour on the lime dressing. Sauté for a minute, stirring to coat everything in the dressing. Evenly divide the breakfast bowl to serve. Top with avocado slices, salad cheese, and a fried egg. 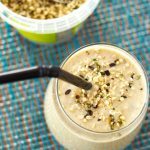 This is such a great recipe which I can see myself making not only for breakfast but for lunch too! Love the idea of sweet potato with beans. Look very delicious and healthy! Can’t wait to try it.